THE FAMILY that plays together stays together. That is the conventional wisdom, and I believe it is true. Playing games and recreation are experiences rich with fun and laughter. These are building blocks for relationships and fond memories for families that pay important dividends in the long run. Consider how the Lord has desired fellowship with man in the presence of food. The Garden of Eden (Gen 2), the manna and water in the wilderness (Ex 16/17), the Table of Showbread (Ex 25), The Lord’s Supper (Lk 22), and the marriage feast of the Lamb (Rev19) teach us about our communion with God; how it is constant and hopeful. Meals also serve as a basis for extending blessings, building relationships and covenant-making between men throughout Bible history. Consider how food was involved in the following significant events. Isaac blesses Jacob and Esau in the presence of a meal. Jacob and Laban make a treaty confirming it with bread. Joseph begins the process of reconciliation with his brothers by throwing a banquet. (Gen 43). Ultimately, the Israelites came to be defined by their holy feasts of Passover, Unleavened Bread, Firstfruits, Pentecost, Trumpets, Atonement, and Tabernacles (Lev 23) in which food was both eaten and offered in sacrifice. In keeping these “Sabbaths” the nation of Israel made covenants with God and each other. What is it about fellowshipping around a table that makes it so special? What is it about eating food together that binds people closer? I believe it has something to do with the way God has designed us. When we eat good food our brains secrete neurotransmitters like serotonin and dopamine that give us a sense of pleasure and well-being. Oxytocin also contributes to feelings of trust when we are around people we trust. This cocktail of chemical signals works to make us feel better when we eat good food with good people. In this setting our minds are more impressionable to where we are at and who we are with. Perhaps all of this creates a unique experience that is not found in any other type of fellowship. Couple this with a warm, safe environment and our bonding is enhanced, and our memories grow fonder. Social research also supports the importance of eating together as a family. According to the National Center on Addiction and Substance Abuse (CASA) at Columbia University, families who eat together five or more times per week have less smoking, drinking, and illegal drug use among pre-teen and teens than in families who eat together two or fewer times per week. Additionally, the less a family eats together, the more likely it is that the food will be less healthy, the TV will be on, and the conversation feeble. Children who eat less often with the family are more likely to characterize mealtime as “tense” and less likely to think their parents are proud of them. How sad? Eating together has implication for our families but also the family of God. 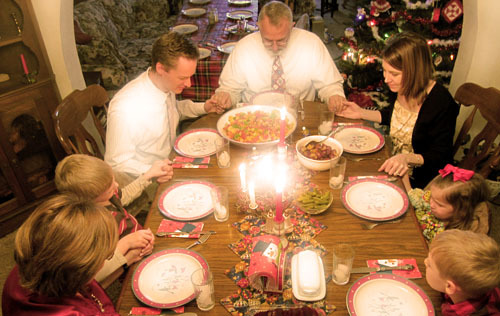 The same principles by which we eat together as families are meaningful to us at the Lord’s Table. In fact, eating the Lord’s Supper as a church should be the model by which we eat together at home. Not by the way we are silent and contemplative during the Lord’s Supper, but by the manner in which we partake; unified, thankful, humble, with the Lord at the center. Unfortunately, the meaning of table fellowship is being lost in my culture. Mealtime has become a means of “shoveling it in” and getting back to whatever it is we were torn away from. We are increasingly “plugged-in” and distracted at mealtime. It happens in our homes and it can happen in the Lord’s Supper. We should be more mindful. The gospel of Luke records Jesus feasting or talking about feasting more than any other gospel. Survey the following passages and learn what He is teaching us about table fellowship. Luke 5:27-35 Levi throws a banquet after being called to “Follow me.” He invites other tax gatherers to the chagrin of the Pharisees. Luke 7:36-47 Dinner at Simon the Pharisee’s house. A woman anoints him with precious oil. Luke 9:12-17 Feeding of the 5000 in the wilderness. Luke 10:37-42 He is welcomed into Mary and Martha’s home. Luke 11:37-41 Dinner with another Pharisee who is shocked about his lack of hand-washing. Luke 14: 1-24 Jesus teaches three parables about feasts while dining at the home of a ruler of the Pharisees. Do not seek the places of honor. Do not invite those from whom you expect a return. Do not make excuses to spurn the invitation the great banquet. Luke 15:11-32 The parable of the two sons; one prodigal and one prideful. Luke 22:1-24 The Last Supper with his disciples. Luke 24:30-31 On the road to Emmaus Jesus breaks bread with two disciples. That’s a lot of feasting! From these passages we get a sense of the importance Jesus placed upon table fellowship. He teaches us many lessons about what table fellowship should be in our home and at the Table of the Lord. Three main lessons emerge. First, we learn who is invited to table fellowship with the Lord. Everyone! He ate with Pharisees, tax collectors and sinners during his ministry. In fact, he instructs us to do the same. Jesus was not advocating sin, or greedy tax collecting, or legalism. He was using the opportunity to teach and meet the true needs of those who were invited. Who do we invite to our feasts? The people we like or the people who really need to hear about the savior? Do we seek to fill ourselves at our meals or to fill those whom we invite? 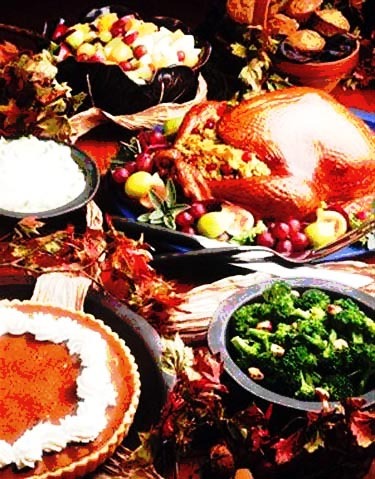 Furthermore, are we spurning the invitation to be at the feast with the Lord or with our family? Do we make lame excuses like the people in the parable of the great banquet (Luke 14:16-24). Eventually, the invitation was taken from those originally invited and given to others more willing. Second, we learn what is served at table fellowship with the Lord. It’s true, the better the food, the better the fellowship. In fact, a nice piece of chocolate cake can do wonders for our sense of pleasure and well-being in terms of the neurotransmitters mentioned earlier. Compared to a peanut butter and jelly sandwich, a nice home-cooked meal would help foster closer relationships and stronger bonds. This is not to say the amount of food we serve at our tables has to be immense. We can bring blessings to the table in the form of quality of food instead of quantity. Or perhaps, the blessing of good presentation of the food is enough. After all, nice presentation (place settings, complimentary color schemes, cleanliness, etc) goes a long way in showing care for the guests and helping them feel welcome and secure. Ultimately, when the table is full of love, the amount of food or even the quality of food will not matter. Consider Jesus at Mary and Martha’s home. Martha was concerned with taking care of her guests. But Mary chose what was most important; sitting at the Lord’s feet and soaking in his words. She truly believed his words were “more precious than gold and sweeter than the honeycomb.” Jesus (the Word of God, the bread of life) is the food. After all, Jesus said, “My flesh is true food, and my blood is true drink” (John 6:55).If we bring the Lord to the table, the food doesn’t matter. Invite the Lord to your table in prayer, thanksgiving, and in conversation. The truth is when we open our mouths to eat, our minds and hearts are open to God as well. Interestingly, the disciples recognized Jesus when he broke bread on the road to Emmaus. There is a connection between eating food and knowing the Lord. If we would be more mindful of what food is, what it means and where it comes from, we will have better table fellowship and communion with the Lord and with each other. Lastly, we learn about how good the company is when we have table fellowship with the Lord. Perhaps this is the most important lesson. The manner in which we treat one another makes all the difference in the table fellowship. Manners matter! Jesus taught us to have manners at the table. He instructed us how to choose where to sit (“do not sit down in a place of honor”), and how to offer gracious invitations (do not invite those from whom you seek a return invitation), and to graciously accept the invitation when you are invited (Luke 14). 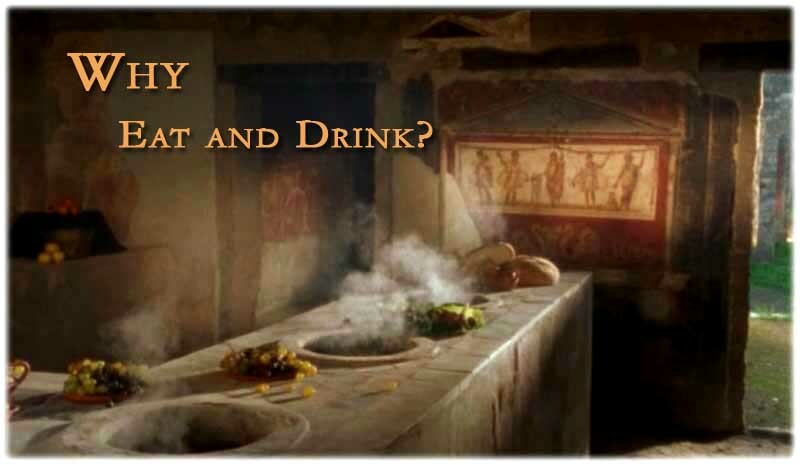 Paul’s solution to Corinth’s division at the Lord’s Table was to have some manners. “When you come together to eat, wait for one another…” (1 Cor 11:33). Why should it be any different at our dinner tables? Consider the rich man and his poor manners toward Lazarus (Luke 16:19-31). While the rich man feasted in his home, he ignored Lazarus’ needs. Lazarus essentially became food for the dogs as they licked his sores. This type of disregard is a blatant insult and resulted in “torment” for the rich man. What kind of attitude do we bring to the table? Our attitudes will determine if we can enjoy the fellowship as we should and will have an effect on the other guests. Consider how pride poisons table fellowship. In the case of the Pharisees, their fellowship was poisoned by their own pride as they sought to test Jesus, to find fault in him, and ridicule him. If they had some humility and honestly tried to learn from him they would have reaped countless benefits. Consider how sin poisons table fellowship as well. Jesus illustrated how the washing of hands was not merely as important as washing of hearts when we fellowship around a table. The Pharisees instead were “full of greed and wickedness” (Luke 11:39). Perhaps more tragic was the case of Judas spoiling his own table fellowship with the Lord at the Last Supper. Satan had already entered his heart (Luke 22:3). Instead of reclining with the disciples as the Lord hosted an intimate Passover meal, Judas’ mind was distracted and aloof. He was already plotting on how to betray the Messiah. When Jesus announced that one would betray him that very night, the disciples asked, “Is it I, Lord?” (Matt 26:25).